The Colosseum, the Great Pyramid of Giza, the Great Wall of China and Machu Picchu are world-famous ancient architectural wonders, but they’re hardly the only man-made structures worthy of effusive praise, enthusiastic photography and economy-stimulating tourism. These 7 historical sites, ranging from an incredibly deep well in India to the cradle of Mayan civilization – complete with the world’s first highway system – are often overlooked, but represent some of the most jaw-dropping and mysterious engineering feats from ancient times to the medieval period. 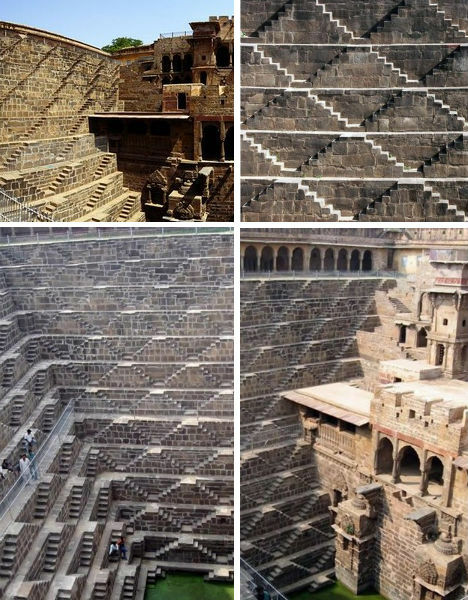 Perhaps one of the most beautiful examples of patterns in architecture, the 10th century Chand Baori well in the Indian state of Rajasthan is the world’s deepest, extending 100 feet below the surface of the earth. Built as a solution to chronic water supply issues in this arid region, the well has a total of 3,500 steps in 13 levels arranged in an inverted ‘V’ shape and is adjacent to the Harshat Mata temple. The walls are so steep that when standing at the bottom, you sometimes can’t see people who are on the steps above you. 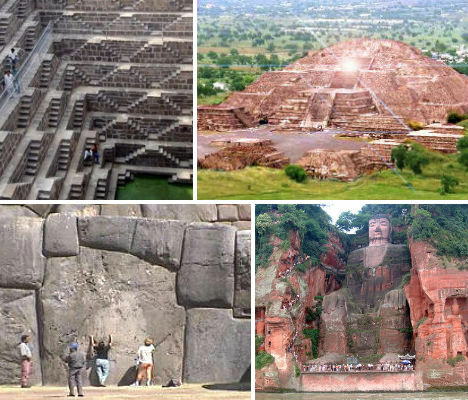 It’s difficult to imagine the construction process for such a complex stone structure with the technology available at the time. Local legend has it that ghosts built it in a single night; perhaps that accounts for its preternaturally preserved state as well. 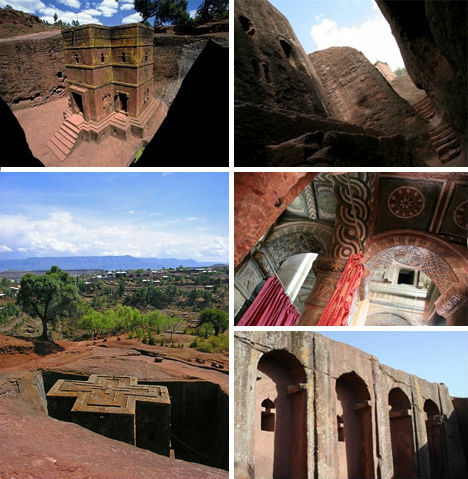 The tiny town of Lalibela, one of Ethiopia’s holiest cities, is home to 11 monolithic churches – all carved from the same block of red volcanic rock, with their roofs at ground level. Likely built during the 12th and 13th centuries, the rock-hewn churches include four that are fully free-standing, with the rest either partially attached at the sides to the rock or with ‘liberated’ facades. They’re connected to each other with a maze of underground tunnels, and their construction was engineered to take advantage of natural aquifers deep in the ground. 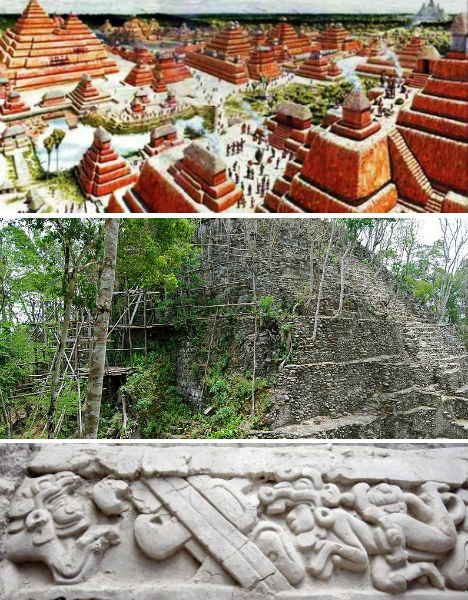 The 500,000-acre site of El Mirador in Guatemala is referred to as ‘the cradle of Maya civilization’ and contains not only five Preclassic Maya cities that pre-date the far more famous Tikal by at least 1,000 years, but also the world’s largest pyramid by volume and the remains of the world’s first highway system. A remote site located deep in the jungle, El Mirador was’t ‘discovered’ until 1926, and wasn’t mapped until 1978. 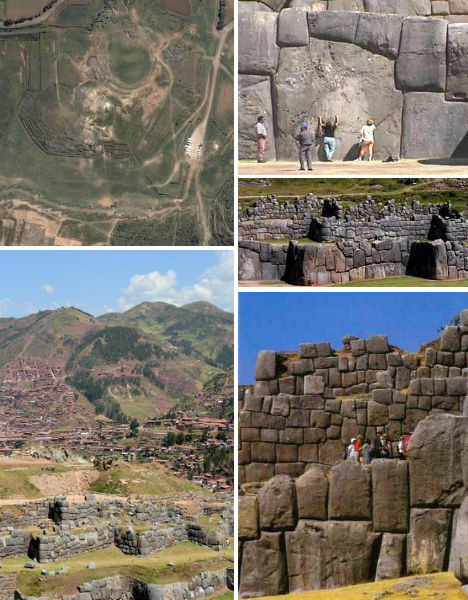 The civic center of the site measures about 10 square miles and contains around 35 ‘triadic’ structures, with ‘La Danta’ being the most notable at 230 feet tall. 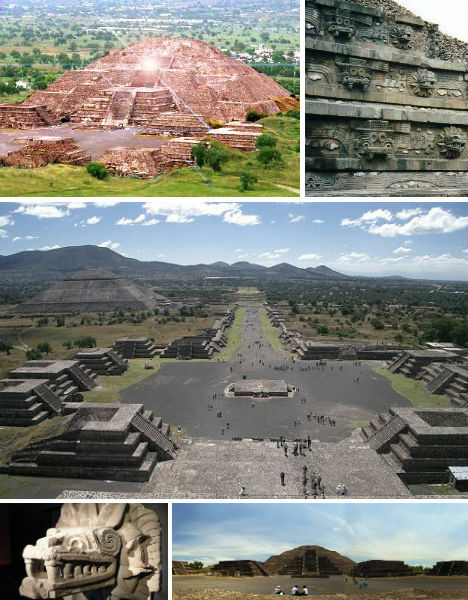 Its volume, 2,800,000 cubic meters, rivals that of far more well-known ancient pyramids around the world including those in Egypt. El Mirador is also home to a complex network of large roads, which once linked important architectural compounds and nearby cities. The 500,000-acre site of El Mirador is threatened by looters, drug traffickers and deforestation, prompting the creation of a 810,000-acre national park in the region, which is currently being established by the Global Heritage Fund and the Guatemalan and U.S. governments. 4,500 years ago, Mohenjo-Daro was one of the largest early urban settlements in the world. 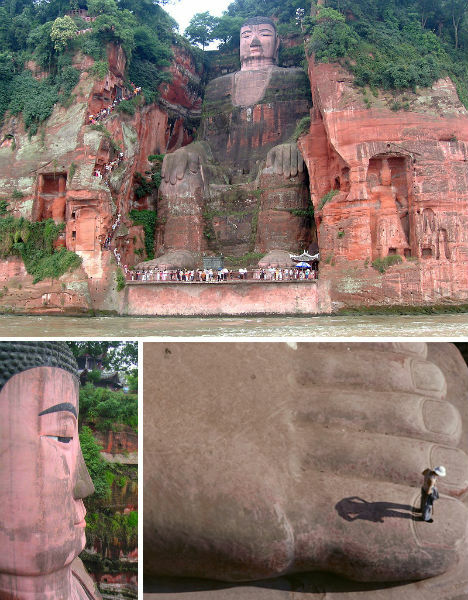 It thrived for over a thousand years, but was completely forgotten until excavation revealed its ruins along the Indus River floodplain of what is now Pakistan in 1921. Abandoned around 1500 BCE for reasons unknown, Mohenjo-Daro has a planned layout based on a street grid of buildings made of mortared brick and likely housed around 35,000 residents. 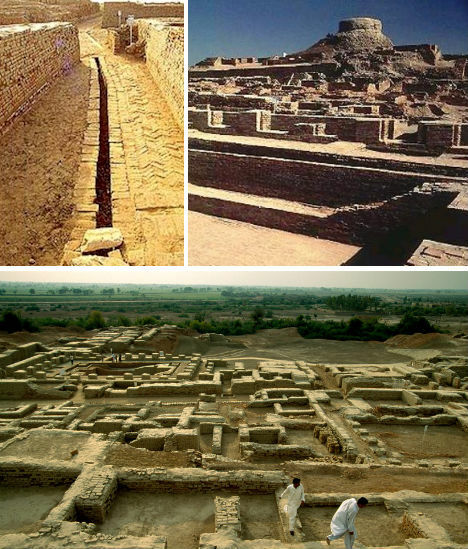 Among many interesting features, what stands out the most about Mohenjo-Daro is plumbing and sewage system that was more sophisticated than what most Western households had until the 20th century. Not only did some home have indoor toilets, but there were actually sewage drains that ran below the streets.